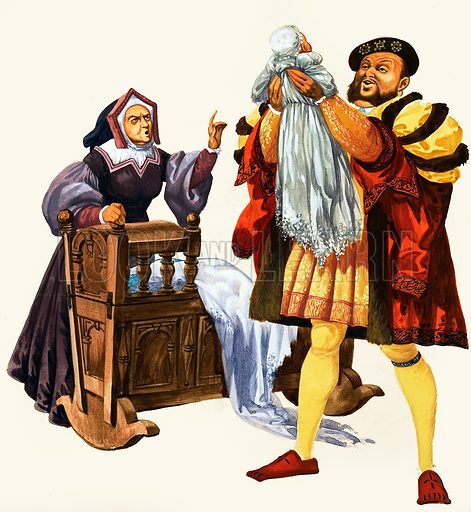 The Wonderful Story of Britain: King Henry Wanted a Son. King Henry rejoicing at the birth of Prince Edward. Original artwork from Treasure no. 85 (29 August 1964). Available worldwide for immediate download up to 3,837 x 4,170 pixels.